When production of the Panther began in 1943, plans were made for a Panther II with heavier frontal and side armor but capable of the same performance as the Panther I. This was an attempt to create a hybrid vehicle which combined components from early Panther tanks with those of the yet to be built Tiger II. Two prototypes were ordered, and one with a normal Panther I turret was delivered. 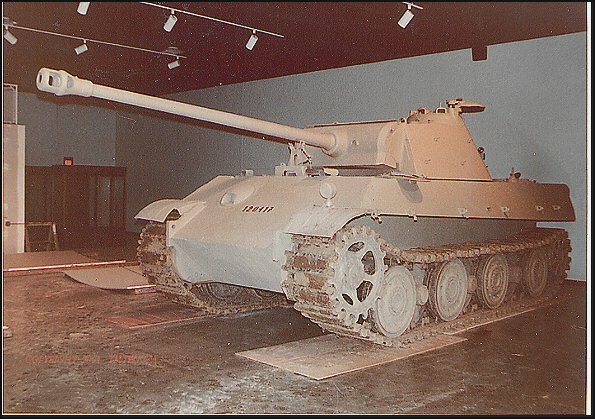 The Panther II was to be equipped with an improved Schmalturm. Only one specimen remains which was recovered from an artillery range in Lackhill England. See photo by Andrew Longstaff. This compact turret with a built in rangefinder was designed by Daimler Benz for the Panther Ausf F. It was to mount a modified version of the 75mm gun known as the KwK 44/1. 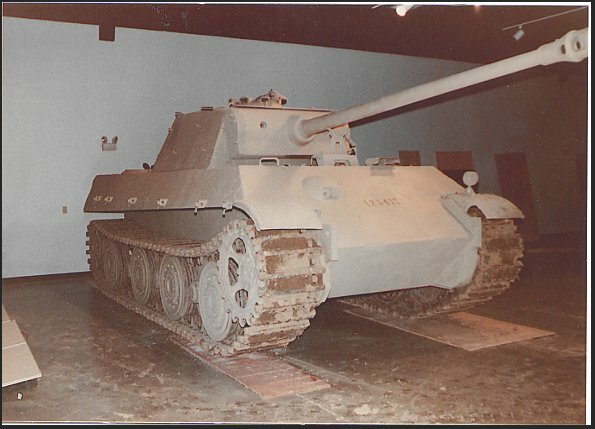 This Panther II at Ft. Knox, Kentucky, is the sole survivor. 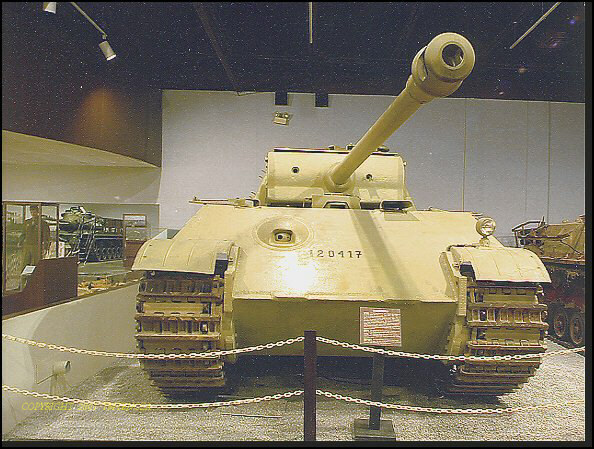 Weight increased to 57 tons and the prototype used the running gear of the King Tiger. Only 7 wheels per side were used and were staggered to enable the use of a single torsion bar. Hydraulic steering with a reinforced gear box was used. 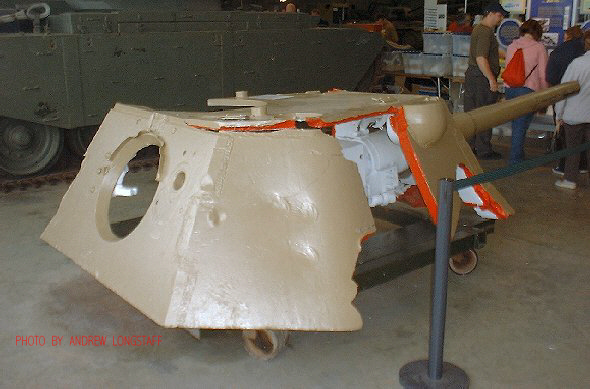 The project was abandoned and many of the advanced features such as all steel road wheels and deeply sloped armor were incorporated into the Model G Panther I in late production models.